Your days of cleaning a litter box are numbered thanks to the CittiKitty, a device that helps train your cat to use the toilet! The CitiKitty Toilet Training Kit has been proven for decades to toilet train your cat successfully and is endorsed by veterinarians and cat behaviorists. The specially-designed patented training seat followed by the simple instructions will help your cat transition from the litter box to the toilet. 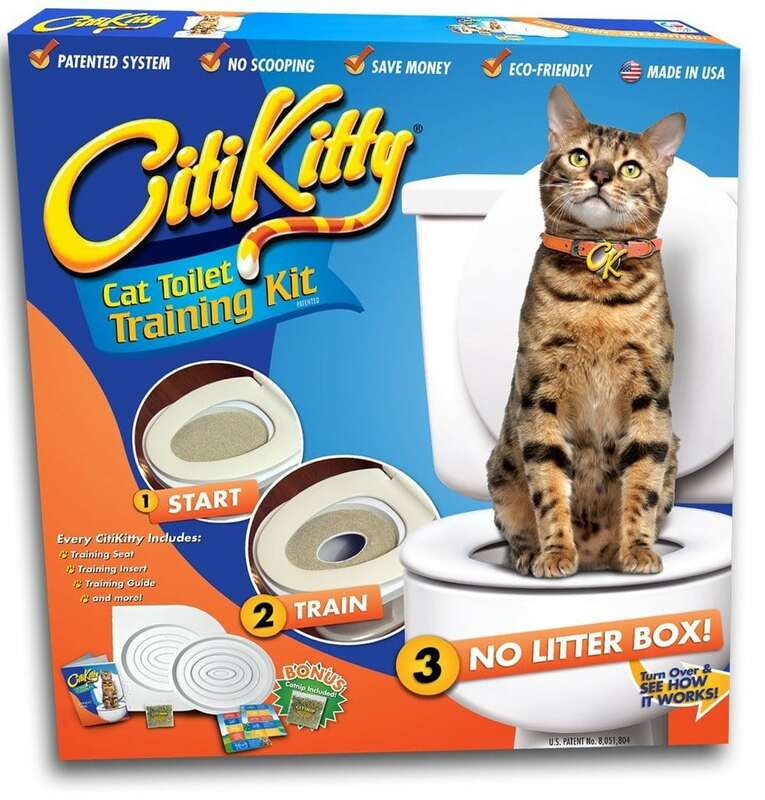 So if your cat is three months of age or older and you’re tired of cleaning the litter box then teach your kitty how to use the toilet with the CittiKitty Toilet Training Kit! CitiKitty offers a gradual five-step training system that accommodates cats of all personalities allowing them to adapt slowly. CitiKitty offers a product designed to fit standard and elongated toilets in teh U.S. & Canada. It is a clean, cost-effective, and earth-friendly alternative to the typical litter box. With the CitiKitty you can save so much money since you won’t need to buy litter once your cat is fully trained! Your home will also be healthier and cleaner without the bacteria from the litter box lingering around. You won’t need to worry about vacuuming up all the litter that accumulates around the litter box. The only downside to the CittiKitty is you might need to wait until your kitty is finished going to the bathroom before you can use it!